AUSTIN DAZE: How long have you been doing the record store? Was it always such a pulsating place? 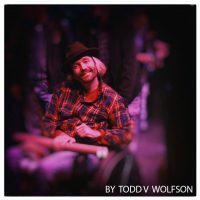 JOHN KUNZ: I just celebrated my 33 1/3 anniversary selling music in Austin a few months ago. Waterloo is 24 1/2 years old now and I came on about three months after it started. The day my original partner opened it up was April Fool’s Day 1982 and that was the same day I was turning in my resignation for the chain music store I was working for. I was looking to open up my own store, so Lewis Carp and I were talking about how we could help one another out as two new kids with record stores in town. The more we talked the more we realized that we actually shared more or less the same vision of what our record stores were going to be but we neither one of us had enough time, money, inventory, energy to do everything that we envisioned. We started talking about partnering up and that is indeed what happened a few months later. The original location was on South Lamar where Austin Soccer used to be. It was much smaller. At that time it was a 1,000 square feet between the music store and the video store and now we’re almost 9,000 square feet so it was almost 1/9 the size originally. Even though it was always a kind of happening place from the beginning, there was a number of times–the first summer particularly–where I’d be the only one working in the store and there wouldn’t be any customers and it was time for my lunch break and I would go to the burger joint next store and eat my burger with my eye on our front door and if somebody pulled up I’d grab my stuff and go. But otherwise, if nothing else, I could get out just for a little while and not be in the store getting french fries all over the counter or something. From year one, we just had such a rapport with all of our customers–just really super serving them and such a rapport with the bands that it kind of became the de facto place to go for music in town. 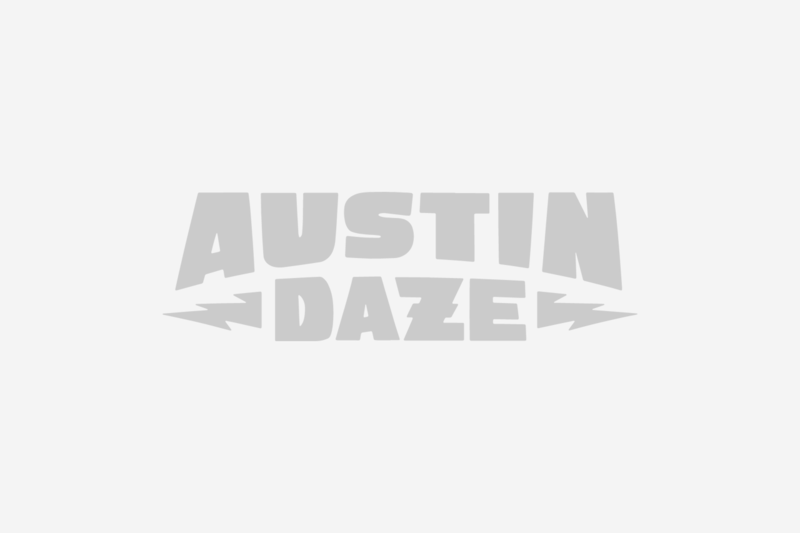 That was the first year the Austin Chronicle did their music poll and included things that were ancillary to the bands themselves and we won that first year – right around the time of our first anniversary – for best record store. And we were up against all sorts of record stores. That was really rewarding to have that happen. This was a world where MTV, I think, existed already but it hadn’t come to Austin yet and of course there was no internet or anything so a lot of the way people were discovering music was just from what got played on the radio, got reviewed in the magazines, newspapers and that sort of thing. That was limited as far as it was concerned. And one of the ways that we were really finding out about cool things – particularly under the radar original stuff – was from the bands in Austin that were large enough to go out and do tours. So you know, the Fabulous Thunderbirds go out and do an east coast run and come back and they’re touting A Room Full of Blues to us, or someone that opened up for them or they opened up for–however it played out. You know it was, “Oh yeah, we did a string of dates with these guys and they were incredible and they got these CDs available.” It wouldn’t be available through the local wholesale places that we went to here so we started dealing with just lots more regional wholesalers all over the country And we just started picking up on stuff that a lot of other places weren’t hip to or weren’t getting. Building that kind of rapport with the bands themselves where they were kind of doing the A&R, if you will, for the bands that they liked and getting them into our store and having them start selling out of Austin when maybe some of these bands hadn’t even come and played Austin yet made Waterloo a pulsating place. It was cool for us to be able to say, “Oh yeah, Jimmie Vaughan was telling us how great these guys are” and someone would go, “Oh, well I’ve got to check these guys out”. That was one of the things that helped build us. That was always the vision: to be really connected with the music and the people that make it and then find a way to extend that out to the fans that came in wanting to get that music. We started out day one with anyone being able to listen to anything in the store and that was a holdover from what records stores were like when I was a kid. It was just going away, because they had started putting records in shrink rap. Prior to that, it had been 78’s and 45’s and they were just loose. But once the LP had won – originally those came without any shrink wrap on them too – people were concerned about whether a record had been played before. AD: Can you still do that at Waterloo? Listen to any CD? JK: You can still do that. It’s always been that way. AD: Is that what the listening rooms are for? That’s what they are about. We’ve got over a 100 different things that someone can go and listen to his or her self just by going up to a listening station. But we open up and play anything someone is interested in as well. For that matter, we’ve got a couple of really cool things where you can just walk up with the CD and scan the bar code and it will bring the song list up and you can just press the song you want to hear. The advances in technology have been amazing. Back when we opened the store, there weren’t CDs. So we would open a stack of records for somebody and they would choose the ones they liked and give us the ones back that they didn’t. We’d go and re-wrap those and sell them – it really was just about the music. If we were going to be selling stuff that wasn’t getting played on the radio, how else were we going to sell it? You wouldn’t expect to go by a shirt or a pair of shoes without that first step. Kind of the three things that were most different about us when we opened up were: we opened and played anything that you want, we had a full exchange policy because back in that day most record stores would only take something back if it was defective for that same reason they were concerned that someone was going to buy the record, tape it and bring it back. We weren’t concerned about that. Not that it didn’t happen with us, but we kind of weeded out the bad apples. The last thing, and I still don’t understand why more stores don’t do it, is that we didn’t categorize our store – we just put everything in there alphabetically. So blues were next to rock; next to rap. The example I usually go back to is Emmylou Harris because I’ve seen her in rock, in country, in folk, and female vocals. Every store classifies everything differently but she is always under “H” in our store. There are people that don’t like it but they are few and far between because most real music lovers might buy a reggae record or a rock record or a folk record all at the same time. We do have a few sections – I guess every store has to have a few sections. Classical is separate. Movie soundtracks are separate and world music is separate. We have a color-coded system now and that’s actually something we came up because of Clifford Antone. He would come in and say, “John, I just want to look at the blues when I come in here. I don’t want to look at the other people. Can’t you just find a way?” Once we do that, the whole thing falls apart. So we came up with a system where we will give all the blues ones a blue indicator and the jazz ones we’ll give a red indicator. AD: One thing that I really do like is that you do separate the new local music. JK: That kind of goes back to that early connection with the music and the people that make it. I think it’s the responsibility of the radio in any town, clubs in any town, and record stores in any town, to really embrace what’s there and help to make sure the music is out there. I think Austin–more so than most towns–has always understood that and have done a great job with it. It’s unfortunate, the clubs that we’ve lost over the years but there has always been that core group of a crowd that really are the nest where a band could develop and grow and discover who they are and come out fully grown. Austin’s always had its fair share of radio programs that play to the local scene. One of the things that I think really worked well with us, really gave it a lot of validity to a local artist was rather than making it a ghetto area, we kind of more celebrated it as a Texas music section. So past, present, future, it’s a situation where we’d put a new band in the same section as Willie Nelson. You can kind of see the beginning and the end point in terms of these are the stars and they once were the band that couldn’t get distribution and they came to the record store and put their music in our consignment section. Going back nearly 25 years, Denny Freeman put his records on consignment in our store. Denny, even back then was an incredible guitar player and he’s Bob Dylan’s guitar player now. The Dixie Chicks’ first record in our store was on consignment. It’s very different than that now. I want to give props on that because that was a concept that we borrowed from Forrest Coppock who was at the Sound Exchange. Forrest, now at Antone’s Record Store, was the one who came up with the whole Texas music concept of putting the new developing artists right there next to the fully formed superstar artists and everything in between. And we liked the idea. And I always like to credit him because it really was the first time that a local music section wasn’t ghettoized. At that time, if the Dixie Chicks did fifty tours around Texas they would be in the local music section and then once they started selling they would have come out of the local music section and gone into the country section. What would be left in the local section would be the artists that were selling marginally. AD: How does your consignment policy work? Do you ever approach bands? JK: We don’t pay for them until we’ve sold it. They believe in themselves, they are going to sell, and it’s just a matter of getting together with them and determining what the right amount is. On the subject of other music stores, 11 years ago, me and a bunch of other stores around the country got together and formed what we call the Coalition of Independent Music Stores-another SIMS, if you will–it’s CIMS. We’ve got about 30 different companies, some of the best music stores around the nation and we work together on all sorts of projects. We originally came together because a lot of the big record labels and distributors were downsizing their operations and they liked calling up the merchandiser or buyer from Borders-talking to one person about one particular band getting something done and then knowing it would happen for that hundreds of stores. There was a lot that had to be done on the back end for any chain stores in terms of communication among those stores. We thought that if we could take the strengths of our stores with an added communication amongst ourselves just to get behind a particular artist the record label could make one phone call to one place and know that they would be setting up a promotion to get an artist front and center in a lot of these stores. In fact the first artist that we did anything with was Ben Harper. We all agreed to promote him at the same time. That has worked out very, very well. The coolest thing about it I think is this led to lots more communication between the stores to where we could share success stories and share failure stories. It’s led to lots of discoveries musically but also in the business sense. We were able to go and get lower credit card processing rates because we banded together. So it has worked on many fronts. We’ve gotten to a size that is manageable now where communication will still be familial as opposed to corporate and we just put a cap on it. There have been several other coalitions that have formed since then and we have fully shared with them how we got formed so even now we’ve got things going on between coalitions-it’s like the next level. AD: What do you think about the downloading music? JK: Well, I think it’s different for everyone but as far as I’m concerned any avenue that somebody can discover music the better. I-Tunes is a way that someone can discover stuff and pay for it as opposed to unauthorized file transfers happening out there. But even then, there have been lots of bands that have broken through because of all the file sharing that has been happening between fans. There has been lots of bands that have gotten deals because of the success they’ve had doing it on their own through the internet. There are lots of folks that don’t want to have that big massive wall of a record collection or CD collection–they want to have it all sitting on their lap top or their i-Pod. As the world changes, it’s always been that the customer is always right. So however the customer wants to have it that’s how it should be as far as I’m concerned. Our digital store was supposed to be open on April 15th and here it is September 6, 2006 and it’s still not ready. Every time that I get excited that it is real close it’s a new hurdle. This is what we are working with the coalition trying to get our digital store open to where we would all be able to sell music online. We all have void transactional websites where 24/7 someone can order a CD and have it mailed to them. In terms of just being able to order a digital file and do it that way, it gets a little complicated because the record companies-the major ones anyway-want there to be digital rights managed files and the customer, again, is the one that is right, just wants an mp3 file that they aren’t going to be restricted on what they can do with it once they own it. If they can get an mp3 authorized file, they are willing to pay and I don’t know why the record labels should care. I always tell everybody at the record labels that I’m selling unprotected mp3 files right now. And they say, “You are?” And I say, “Isn’t that what every CD in the store is?” Once someone takes this home and puts it on their computer there is nothing that you can really do. Depending on what they decide to do with it at that point, it’s out of your hands. Unfortunately, not enough people–in my opinion–seem to realize that. But we are trying to get them to see that. The other thing is the things that are going on between the Steve Jobs and Bill Gates of the world. Yeah they might like music but I think it’s more about the software they sell. In many cases it’s not a great deal different than a Best Buy or Wal- Mart store that is using music or film as bait to get people into the store to buy all the other stuff. AD: So tell us the story behind Waterloo. JK: Well, the name was already picked by the time I came in. Waterloo was the first name of Austin so it kind of seemed like it was going back to the beginning as far as Austin was concerned. There was a fellow who early on was a big part of the spirit of the store named Philip. And Philip has to be one of the biggest ABBA fans in the world and he immediately jumped on that fact and said, “Oh yeah, there’s an ABBA song called Waterloo so that’s perfect”. And that’s been always one of those things that have made me personally cringe. At the time Waterloo Records came to be I think there were maybe 3 or 4 businesses in town that were called Waterloo something or other—one of them being Waterloo Ice House. We were over on South Lamar at the time and they were over on North Congress. We weren’t next door to each other like we are now-that just kind of happened years down the road. There are lots of businesses that are Waterloo and I guess they all chose the name for the same reason. It was Philip who went to London a few years after the store opened and came back with his pictures that he took of himself at Waterloo Station. And we were looking for a new t-shirt design and so we decided to go ahead and use the London underground logo with the Waterloo station. Everyone just totally fell in love with that t-shirt and everybody wanted one. So eventually we just said, “Why don’t’ we just change the logo of the store?” We looked into it and fortunately the London Underground never figured they were going to extend the line under the Atlantic Ocean so they never trademarked it for the United States. So we said, ok, we’ll do it then. That’s how we got to be Waterloo. I was going to name it Eclipse Records or Breaking Records if I was going to have a store. AD: What are the biggest challenges for a new artist starting out in the music business? JK: In the past 15 years the cost of entry into recording and manufacturing, have come down considerably. At one time someone had to go out and rent studio time at a very expensive studio. Now it will be on someone’s lap top and they can turn any room in their house into a really incredible studio. So the good and the bad of that is that it means that there is a lot more stuff out there but there is still only 24 hours in a day so there has to be some sort of a filtering process. And one of the things the record store becomes at that point is the filter for what their customers want to buy and what they are going to be looking for. Any store worth a salt in my opinion is going to have not only what their customers are looking for but what they don’t yet know they are going to be looking for and helping to lead them towards that. With the exposure of things like my myspace.com and so forth there are so many avenues for someone to take that and blow it up. I think it’s really gotten easier for a group of talented people to get the word out about them. The communication amongst stores is better now than it was – people can go on message boards and subscriptions and what’s really working well. AD: Why do you think you’ve been able to outdo Tower Records here in Austin? JK: Tower is an incredible institution and Russ Solomon, the guy that started Tower is now like 80 years old. Unfortunately, Tower is going through their second bankruptcy in this many years. Tower is a great store. There were times as a music buyer myself that I would just be going, “Oh my God look at all this stuff they’ve got – this is incredible.” The staff was so nice and knowledgeable about things. But we were just better connected with what Austin wanted, better connected with the local musicians. Long before they came into the Austin market we were fairly well established and had our feet on the ground. We had a lot of things in place as far as the clubs, the radio stations, and the community. We had so many bands both touring and local do in-store performances at our place that we had a lot of people really rooting for us and concerned. We were concerned too – they were a juggernaut to contend with. We didn’t know what was going to happen. But like competition is supposed to do, it made us better. Even though we wanted to be a big boy we didn’t want to play like one. And we realized on some of these things we needed to find a way to do it the Waterloo way but still play in bigger leagues. At the same time we didn’t want to abandon the community of independent stores in town because that’s an important thing as well. We still try to have real big communication with the other independent stores and share information. It’s a community and if you lose sight of that, that’s when it is just not worth doing as far as I’m concerned. AD: What makes Austin special to you? JK: Austin’s been special to me because I was born in Dallas and grew up in Houston and have lots of relatives here in Austin. My mom and dad met in Austin at UT and my dad was a big UT fan and would get his season tickets and we would come up for ball games. This is when I was 3, 4, and 5 years old. Coming up for a football game, visiting my aunts, uncles and cousins and jumping in Barton Springs. After I had learned to ride a bike my cousin would take me down the hill from UT to Shoal Creek and scared the I-don’t-know-what out of me. When I made the move here myself to go to UT it was so much more of a community. I appreciated the arts and the music and film–although film was so lame back then. I remember in the early 70’s the Academy Awards or something would come on and there would be however many, 6 or 7 films nominated for best picture and only one of them had played Austin. There wasn’t any multiplex in Austin. Did I answer your question? I guess I did more with the past than the present. The Armadillo World Headquarters was around then which was an incredible place. To this day it is still one of my all time favorite clubs in history. I guess also there were so many like-minded people that were doing what we were doing. I remember vividly being at a Bruce Springsteen concert in San Antonio where probably 2/3 of the audience was from Austin. And Springsteen had been through one other time and played the Armadillo and then didn’t play Austin but played San Antonio. So there were all these rabid fans in Austin that weren’t going to let something like that come that close without seeing him again. But there were a number of times that a band would play there because they had the right size stage ability and the right size market. There were enough folks here with the passion and the love and the knowledge of what was going on that they started working to change all those things. So now this is the music scene, this is the art scene, this is the film scene. This is the computer and game scene. All those people working towards that common aim, and getting it, and appreciating it – that’s really important. That sense of community for the things that are really special and unique in life. That’s what I love most about this place. AD: What do you think of ACL Fest? JK: I’m so excited for ACL Fest. Austin audience is the best. The crowd never gets it or connects like they do in Austin. JK: I would like to say something about the group of people that I’ve got working with. Over in the video store and in the music store we’ve just got people that have been there literally longer than me. One guy was working at the store before I came on board – before I partnered up with Lewis. There is so much out there that we really do need experts in these areas. There is a cross-pollination that happens between them in their musical tastes and where they have talents as far as their job is concerned whether that’s inventory, or customer service or marketing or merchandise and whatever. They are such a talented group of people the store wouldn’t be what it is without all of them and all of their contributions whether it is 20 years ago or 20 minutes ago. I just had to give them their props. Wate loo Records is a cool place. The support they have provided for the music community is greatly appreciated. Thanks John K.